This is known problem. Win Server 2016 is missing some features. You need to ensure they are available. remember to change this part "–Source D:\sources\sxs" to the drive you have win2016 installation DVD or folder where you extracted sxs from DVD. 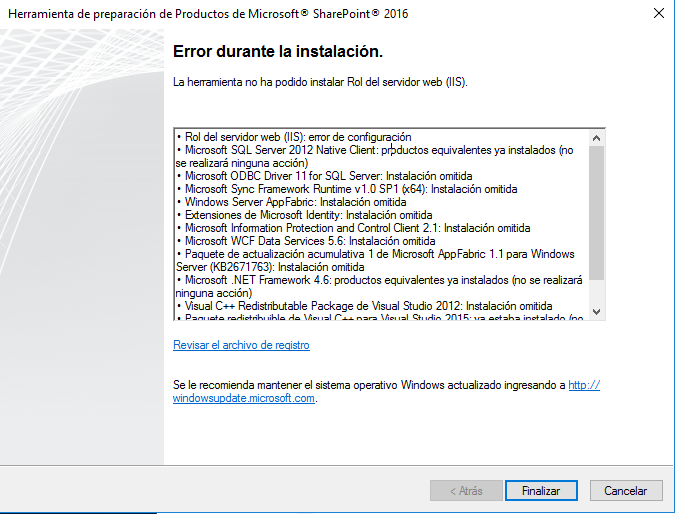 I am not sure does it apply to 2016 but on 2012 R2 I faced as well this issue: I was unable to install .net 3.5 due to certain security updates. After removing those I was able to install. Remember to re-install those after you complete the installation of SP. Not the answer you're looking for? Browse other questions tagged sharepoint-server windows-server or ask your own question.